To say that Carmel-by-the-Sea is dog-friendly is an understatement. The famed California central coast town, rated the #1 Dog Friendly Town in America, welcomes man’s best friend with open arms. Owners and their canines can dine together alfresco on many of the local restaurants’ patios, and many stores have water bowls outside their doors, making it easy to satisfy Fido’s thirst as you stroll the streets. Snacks are also readily on hand, as shopkeepers happily dispense doggy treats to well-behaved canines. At Carmel Beach, you and your pup have more than enough space to roam, sans leash. Come nighttime, canine-friendly accommodations abound among the forty-plus boutique inns, B&Bs and distinctive hotels. 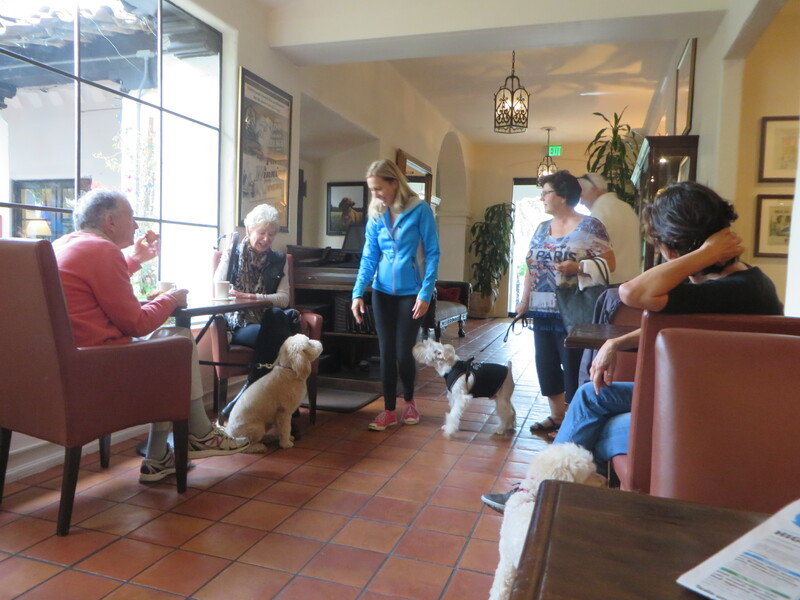 At the Cypress Inn, for example, which is partly owned by ardent animal lover/actress Doris Day, pet owners can bring their furry pals into their hotel rooms, enjoy happy or “yappy” hour, doggy turn-downs and even high tea together in the lobby. It’s a veritable Who’s Who of breeds, sizes and personalities, and surprisingly everyone gets along – four-legged creatures as well as two! You’ll find plenty to do in this world-renowned destination, with or without Fido at your side. Though only one square mile in size, tiny Carmel-by-the-Sea has evolved into quite the hot spot with big-city offerings of art, theater, music and dining. The best way to explore the community is to abandon your car and experience it on foot. You’ll probably get lost once or twice, but that’s half the fun. And it will help you discover some of the town’s quirky traits. As you walk around this picturesque enclave, you’ll note an absence of addresses, parking meters or streetlights, as well as sidewalks outside of the downtown commercial area. Blame it on Carmel’s founding fathers, who nixed the practice of house-to-house mail delivery, not wanting to see their village become urbanized. To this day, residents must get their mail from post office boxes at the local post office. As for getting directions, visitors receive cross streets and descriptive landmarks — or they’re told to look for the often legendary names that adorn most houses. You might also observe there aren’t any chain restaurants or chain stores in town. And if you plan to wear high heels that are more than two inches in height or with a base of less than one square inch, city law requires you to get a permit from City Hall. This rule, however, is not enforced by local police, but is on the books due to the uneven, cobbled surface of the pavement and perhaps as protection against possible lawsuits. Up until the late 1980s, there was even a prohibition against selling and eating ice cream on public streets. Thank one-time mayor Clint Eastwood for overturning this unpopular ordinance. 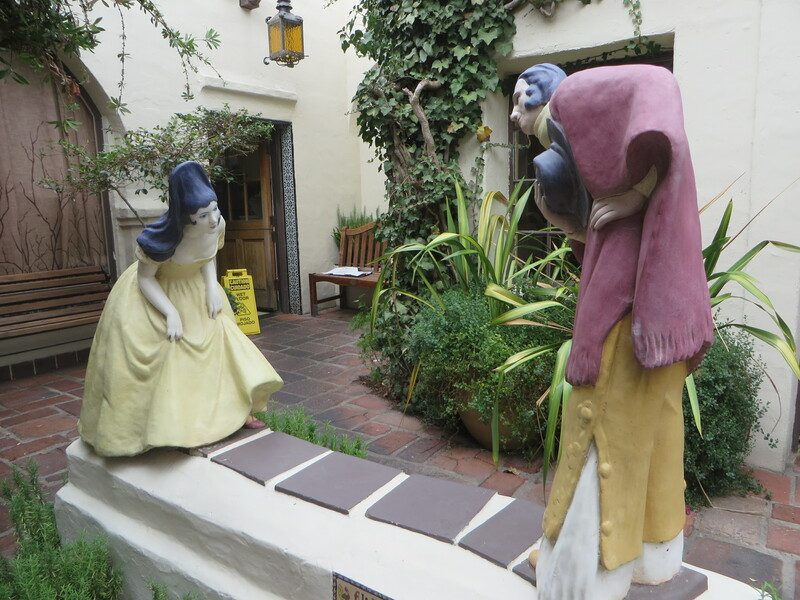 Though he no longer serves in this political capacity, the veteran actor/director/producer still maintains a presence in the area as one of the owners of the Carmel Mission Ranch Hotel & Restaurant. 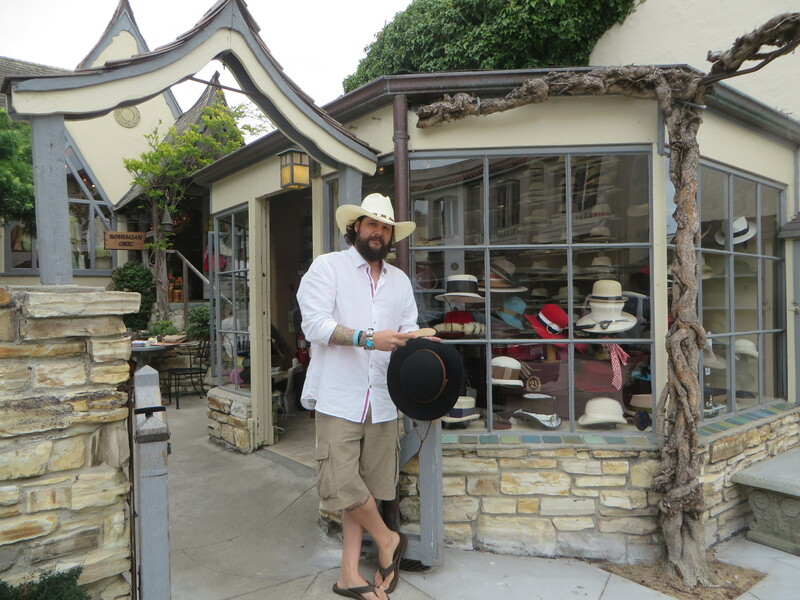 Wandering through town, you’ll quickly realize that Carmel-by-the-Sea doesn’t appear to be laid out in an organized manner. It’s a rabbit warren with meandering passageways and hidden courtyards – 42 in total. This, too, was done by design nearly a century ago. The intent of developers James Franklin Devendorf and Frank H. Powers was to create a bohemian village – a retreat for artists, writers and professors – that was truly pedestrian-friendly. Supposedly, only a few blocks in the one-mile square area are without passageways connecting one street to another midway. There are even cutaways in Ocean Avenue, the town’s “main drag,” allowing people to pass through the planted center divide. Each of the passageways and courtyards has its own distinct personality and special flair, adorned by wrought-iron railings, lanterns, intricate woodwork and Spanish tiles. Discovering these nooks and crannies is akin to being on a treasure hunt, where pleasurable surprises await in the form of eclectic shops, colorful galleries and intimate cafes. Those of particular note include La Rambla Court, framed by a 1920s stucco building with wooden stairs, handsome wrought-iron light fixtures and iron grillwork at the windows and balconies; the Tudor-style Court of the Golden Bough, once the site of the Golden Bough Theatre; Court of the Fountains, a mecca of antiques, art, restaurants, spas and stores surrounding a lovely central fountain; and El Paseo Courtyard, an enclave covered in terra-cotta tile, where you’ll find a whimsical sculpture of two figures in the act of curtsying and bowing to one another. A nearby plaque credits the 1928 work to artist, Jo Mora. 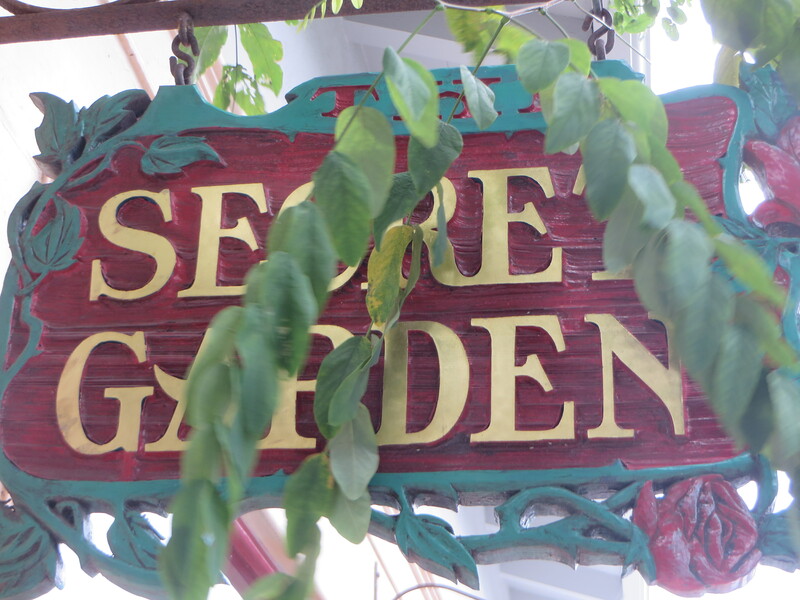 One of my favorite passageways, Secret Garden, is filled with stone statues, wind chimes, fountains and an array of plants. You enter on one street and come out on another, at Pilgrim’s Way, the town’s cherished community bookstore. If you prefer some narration during your exploration, sign up for a tour with Carmel Walks. The highly-acclaimed guided walks take you through the various pathways and courtyards, as well as by award-winning gardens, historical buildings and enchanting storybook cottages. 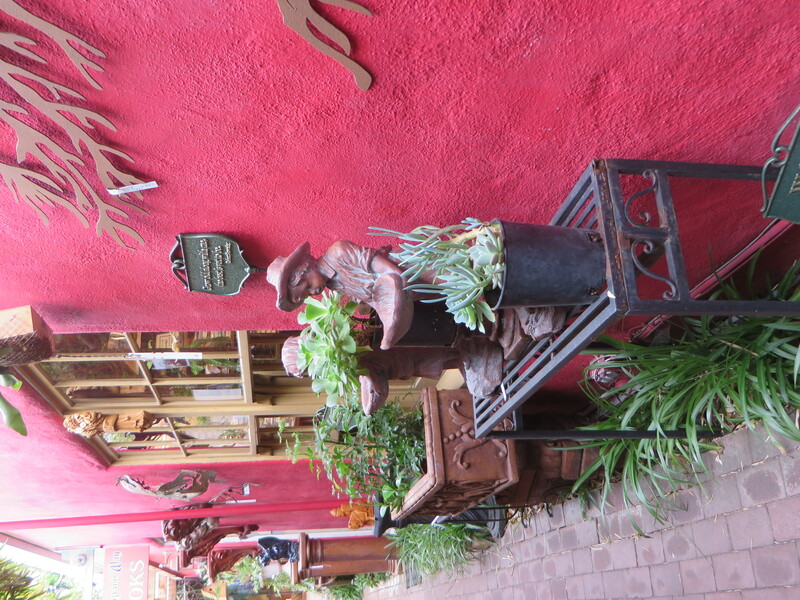 Your guide will regale you with information about Carmel’s roots and its illustrious characters such as Robert Louis Stevenson, Jack London and Robinson Jeffers, as well as its quaint customs. You’ll also learn why the city is considered an architectural jewel, featuring French, English, Austrian and American Craftsman influences. 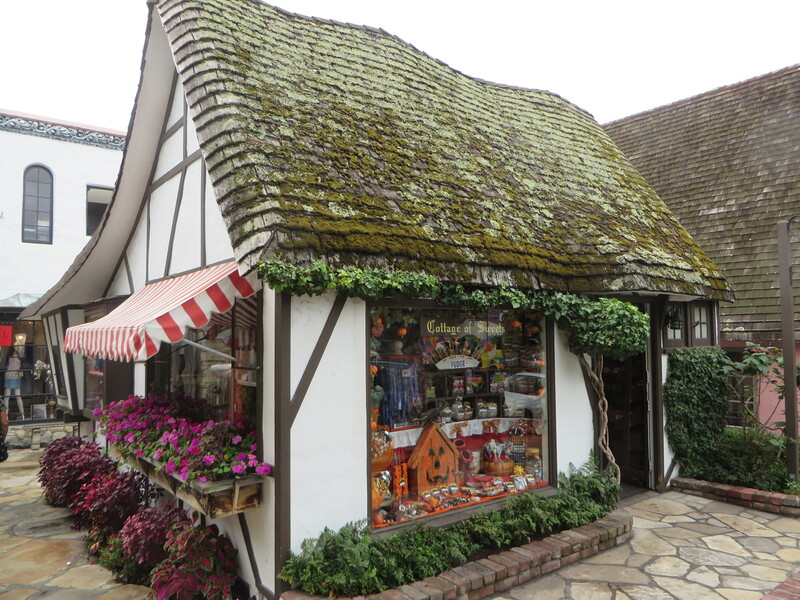 Visitors are most enamored with Hugh Comstock’s “Dollhouse Tudor” homes, with rolled eaves, steeply pitched roofs, rounded doors and elfin stone chimneys. 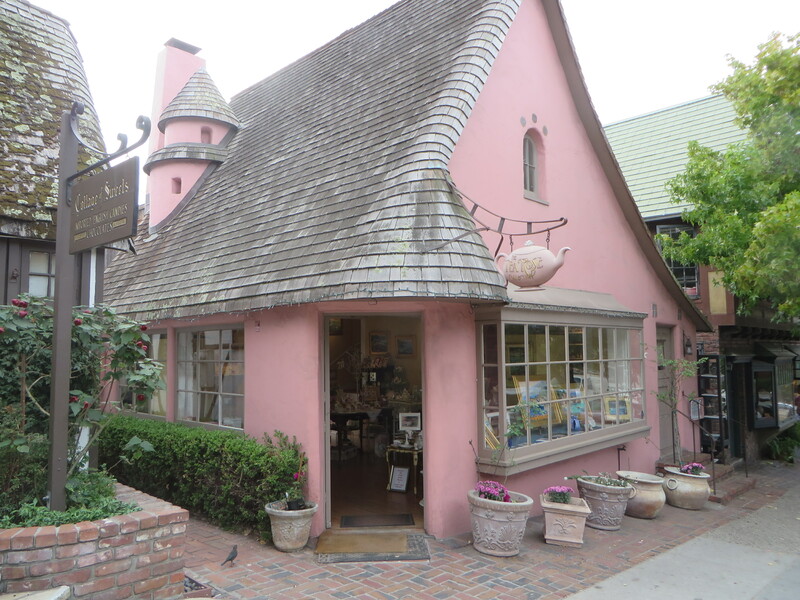 Such gingerbread cottages as the often photographed Tuck Box teahouse and the iconographic Hansel House, make one feel as if he/she has been plunked down in the middle of a fairytale. Tourists are also smitten with Michael J. Murphy’s little Victorians with Craftsman embellishments, which dot the town. Back in the 1920s when Murphy sold his homes, these dwellings went for about $100, lot included. These days, they’re worth millions. Other renowned architects, including Frank Lloyd Wright and Frank Wynkoop also made their mark on Carmel. Wright’s Clinton Walker House is built on a ragged jetty on Carmel Beach and resembles the prow of a ship. This organic structure, which the architect called his “cabin on the rocks,” is wrapped in indigenous Carmel stone, and its terrace and living room jut out into scenic Carmel Bay. The Butterfly House, designed by Wynkoop, is perched on the rocks almost at the water’s edge, looking very much like its winged namesake. Located on Scenic Drive, these homes and others in the area have a postcard setting — a pristine white sand beach, craggy cliffs and gnarled Cyprus trees. As a longtime art colony and haven for artists of all persuasions, the town is a magnet for art aficionados who relish touring the dozens of galleries. 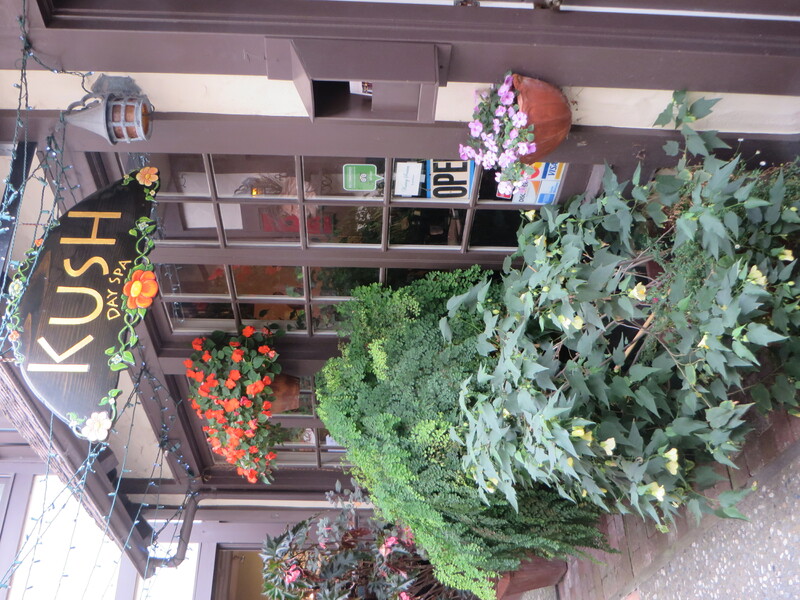 The Carmel Art Association is also worth mentioning, as it is the second oldest art cooperative in the country. Founded in 1927, it showcases the work of more than 100 professional local artists. And then there’s the Carmel Sunset Cultural Center, a state-of-the-art performing arts center bringing a wide range of world-class music, theatre and dance productions. The building, which began as a public school in 1926, is notable for its stunning Gothic architecture and incredible acoustics. 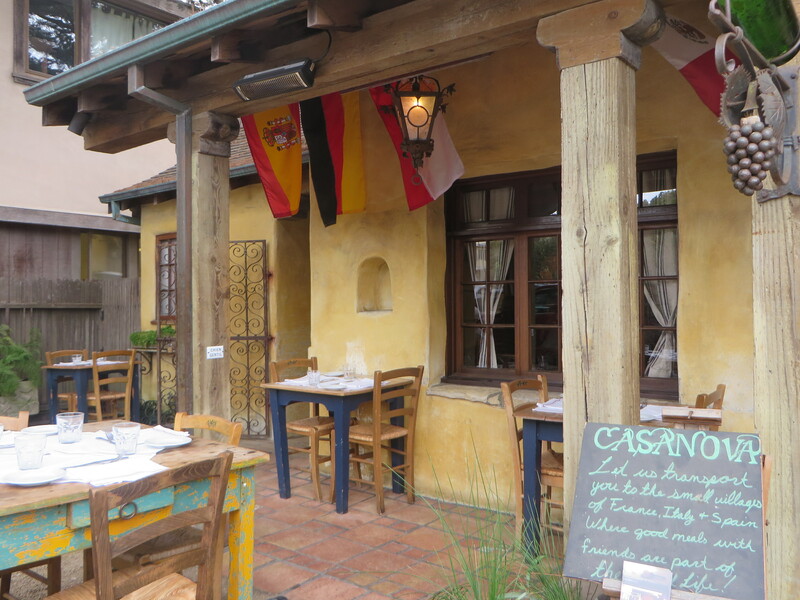 When it comes to dining, Carmel-by-the-Sea is heaven for gourmands and for those who simply appreciate a great meal in a memorable ambiance. 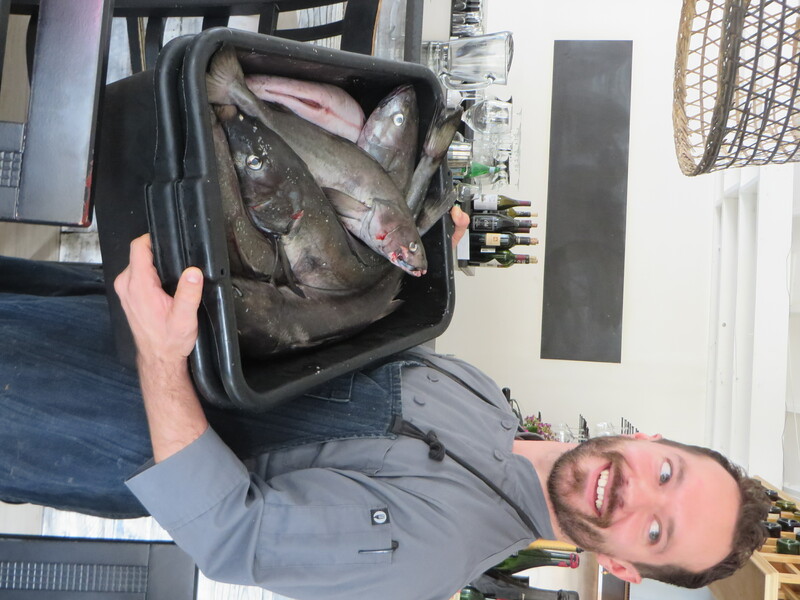 There are many high quality establishments, featuring a range of international, regional and local cuisines, which benefit from their proximity to the abundance of fresh ingredients provided by the Monterey Bay and Salinas Valley. To get a good overview of what the town offers, join one of Carmel Food Tours’ guided culinary and wine walking experiences. Owner Staci Giovino, a self-confessed foodie, started the company in 2012 with the desire to help visitors and Carmel residents alike enjoy the best “off-the-beaten-path” food and cultural experience possible. She researched the most interesting and delicious options available in the community, while studying the history that makes this locale so creative and vibrant. 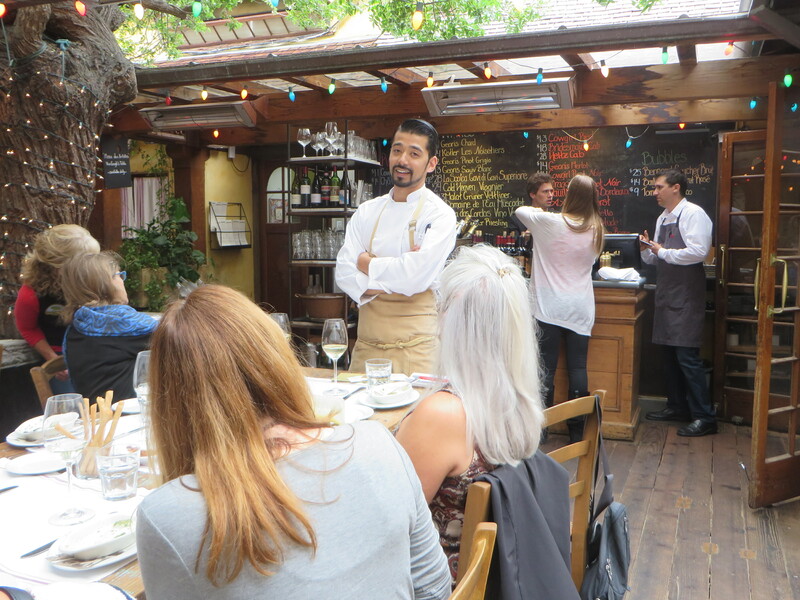 On Giovino’s Carmel-by-the-Sea Gourmet Food Tour, you’ll sample specialties from seven unique eateries, gourmet food stores and wine tasting rooms, while getting to interact with chefs, restaurant owners and wine specialists. 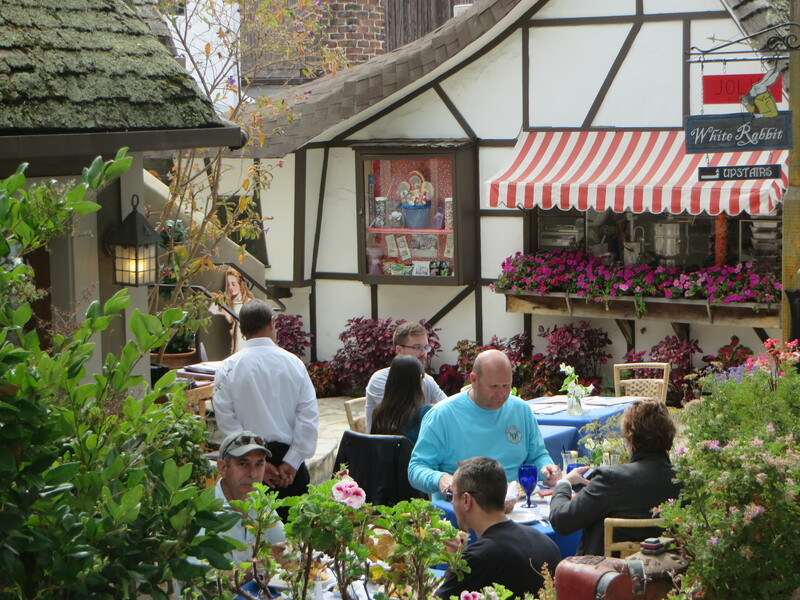 Highlights include Braised Kobe Beef and Polenta Cake at legendary Anton & Michel; Caprese Salad at the rustically chic Affina Food and Wine; Spinach Gnocchi at Casanova’s, purportedly Carmel’s most romantic restaurant with its authentic Van Gogh’s table; and North African Lamb Meatballs at Terry’s Lounge in the Cypress Inn. 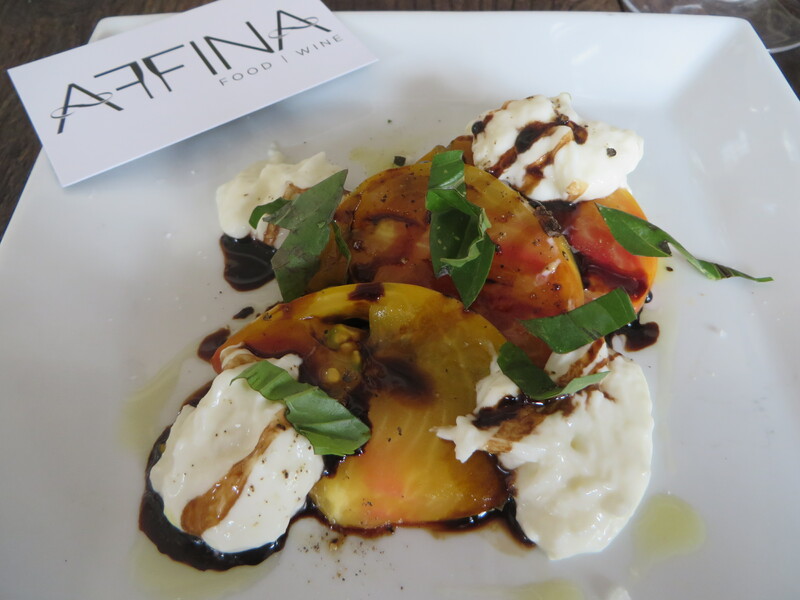 Olive oils and balsamic vinegars are the focus at Trio Carmel, where your taste buds come alive with such combos as cinnamon and pear infused balsamic with a blood orange oil or lemon and mushroom balsamic with mushroom and sage oil. Caraccioli Cellars gets top marks for its sparkling wines, particularly its 07’ Brut Cuvee. The final stop on the tour is Lula’s Chocolates, most popular for its Sea Salt Caramels among other decadent delights. If wine is your thing, make sure to take the self-paced, self-guided Wine Walk, which visits fourteen tasting rooms. 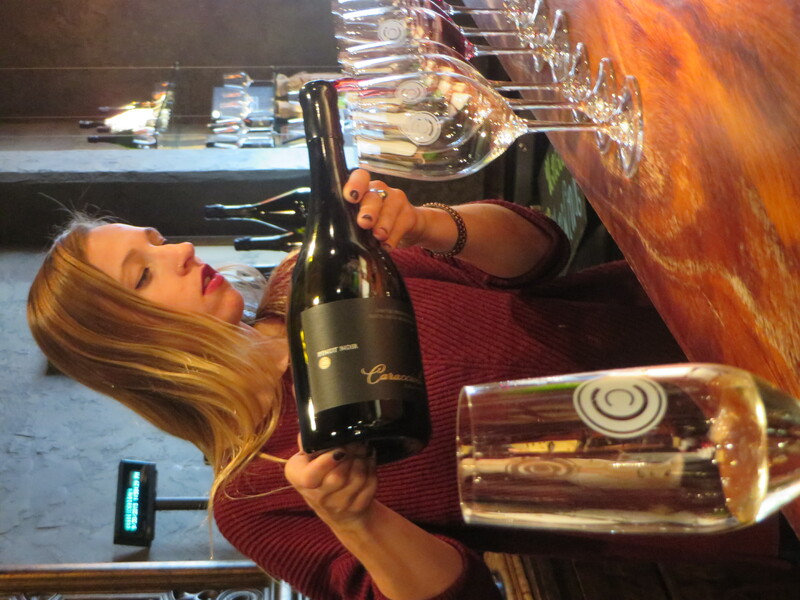 Wine Passports are available at the Carmel Chamber of Commerce Visitor Center, allowing you up to four one-ounce pours at your choice of any nine of the fourteen establishments. Most of the wines you will sample come from small lot estates, family-run and sustainably operated wineries in the region. It’s easy to unwind in this village by the sea, but if you need any assistance, there’s always a trip to the day spa for a relaxing massage or body treatment. You won’t go wrong at top-rated Kush Day Spa, where owners John and Monica Jertberg have created a tranquil haven tucked away in one of the town’s most serene courtyards. I highly recommend the Warm Stone Massage, where heated stones are placed on your body and incorporated in the massage technique. John, who is also a licensed massage therapist, did wonders for my “travel knots.” I left rejuvenated and recharged, ready to discover more treasures in this celebrated seaside village. For all things Carmel: www.carmelcalifornia.com. NextRe-gifting: Yes, Maybe or No?